As I try to immerse myself in the world of gaming, I thought I’d start off by playing a game that’s been sitting in my computer for months now. I first heard about it when I was following the lovely and talented Hikariix on Twitter and considering the game was FREE I thought, why not? 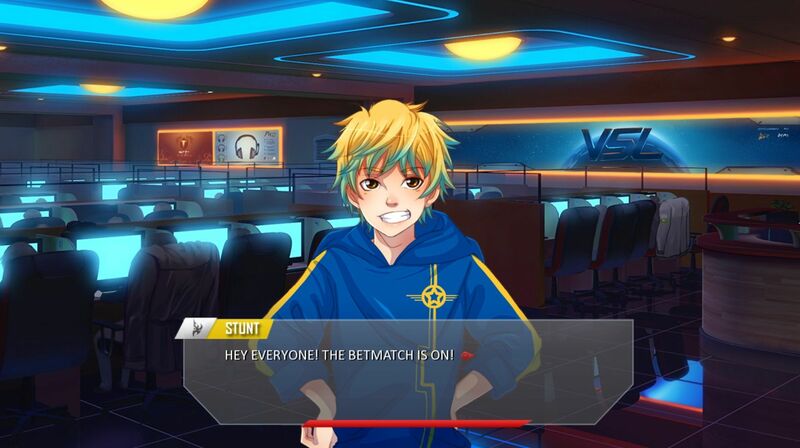 SC2VN is a single player indie visual novel created by Team Eleven back in 2015. It’s four hours long and is about the life of eSports players who want to make it big and of those who are already pro players. In this game we play as Mach, gender decided by player, who moves to South Korea in hopes of making it big in the Starcraft II scene. I played as male so I’ll be using the pronoun he/him for this article. 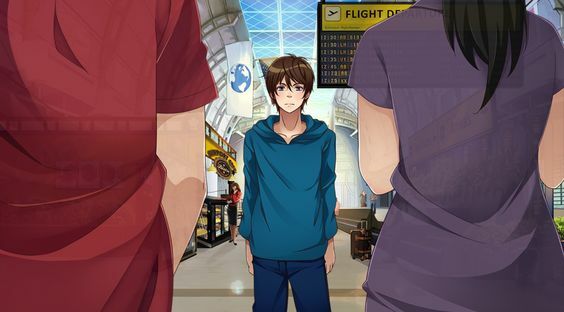 When the game begins, Mach is already in South Korea, however we are given a brief flashback of his parents dropping him off at the airport. From just this tiny scene we learn a few things: Mach’s parents don’t really believe he’ll be successful in his endeavours (or at least his dad doesn’t), Mach paid for this trip himself and he needs to be frugal, and he’s in a tight situation because of these things. Will he stay in South Korea and make it big? Or will be have to return home with people giving him the ‘I told you’ look? Once in South Korea, his luck allows him to meet two pro players, Accel and Jett. Accel is pretty laid back (very good looking) player who, we later learn, is his team’s top player and their unofficial coach. Jett is also the star player of her team, however, her temper is pretty explosive and she doesn’t sugarcoat her words. Finding her teammates’ complacency annoying, Jett confesses to Mach that she’d like to start up a team of her own and reluctantly invites him to be a team member. Of course, Mach is only too happy since he sees this as his chance to make it big. Jett appoints him as the team’s scout and we end up meeting two others, Stunt and Reva. Accel has to take on the role of both player and manager for his team, which is super exhaustive considering he needs to practice on his own time, think up strategies, and pay attention to his teammates plays and weaknesses (leadership). Jett has decided to make a team and with a team there’s the trouble of money. They need a sponsor and she takes on the role of selling her team (communication). There’s also the matter of dedication. We learn that a lot of people play well, however, if someone isn’t willing to put in the effort and hours upon hours of practice, why bother? In eSports the demand is higher because there’s not much a player can fall back on and the backlash can be mentally exhausting. So far this is probably the first visual novel I’ve ever played. I did play The Wolf Among Us, which I was told was like a visual novel so my experience is very tiny. Still, I’ve heard that one of the appeals of visual novels are different routes and the ability to make choices in the game. This visual novel didn’t really have much of either. We do get a few choices when our character goes out to drink with his team, but they were irrelevant to the game and its outcome. Aside from this one, there were about two other times we were allowed to make a choice, which makes me wonder why this is a game and not just a novel or even a comic. Of course I’m also lying as I do know why it’s in game format. Still, considering this was a free game, I don’t think I can fault it. Overall, I did enjoy playing this game and it does send a positive message along with teaching people the hardships that eSports players have to go through. I do recommend it because it’s free and a short game, however, this also becomes a problem. Once the four hours are up, there’s no reason to replay this game. I also didn’t think the characters were very memorable since they were very ‘typical’ but that’s not where my focus was when playing. I was more engaged with how relatable Mach’s experience could be. Aside from this, SC2VN also has really nice visuals (Accel and Mr. Kim) and the music was really nice throughout the game. I actually listen to a few tracks when I want to go to sleep or need to concentrate. 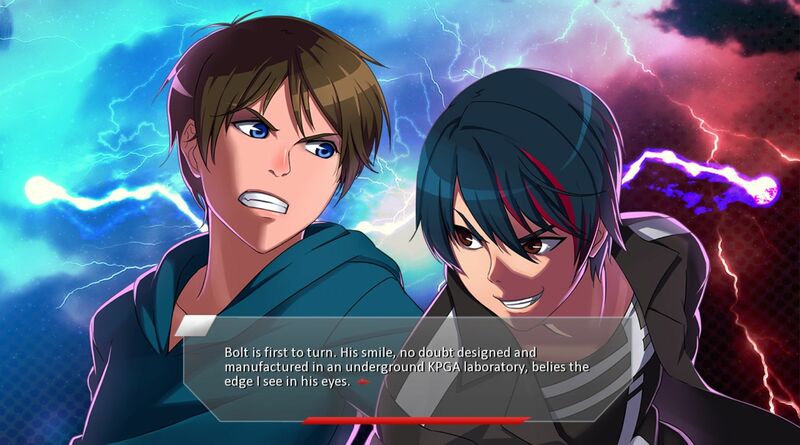 To read interviews or view updates on the upcoming prequel to this game Don’t Forget Our eSports Dream, definitely visit their official page and follow their social media! Next What We Think of the Spring 2016 Anime So Far!